Augustine's vision at Ostia is one of the most influential accounts of mystical experience in the Western tradition, and a subject of persistent interest to Christians, philosophers and historians. This book explores Augustine's account of his experience as set down in the Confessions and considers his mysticism in relation to his classical Platonist philosophy. 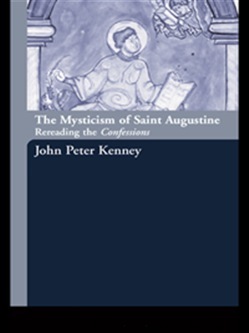 John Peter Kenney argues that while the Christian contemplative mysticism created by Augustine is in many ways founded on Platonic thought, Platonism ultimately fails Augustine in that it cannot retain the truths that it anticipates. The Confessions offer a response to this impasse by generating two critical ideas in medieval and modern religious thought: firstly, the conception of contemplation as a purely epistemic event, in contrast to classical Platonism; secondly, the tenet that salvation is absolutely distinct from enlightenment. Acquista The Mysticism of Saint Augustine in Epub: dopo aver letto l’ebook The Mysticism of Saint Augustine di John Peter Kenney ti invitiamo a lasciarci una Recensione qui sotto: sarà utile agli utenti che non abbiano ancora letto questo libro e che vogliano avere delle opinioni altrui. L’opinione su di un libro è molto soggettiva e per questo leggere eventuali recensioni negative non ci dovrà frenare dall’acquisto, anzi dovrà spingerci ad acquistare il libro in fretta per poter dire la nostra ed eventualmente smentire quanto commentato da altri, contribuendo ad arricchire più possibile i commenti e dare sempre più spunti di confronto al pubblico online.